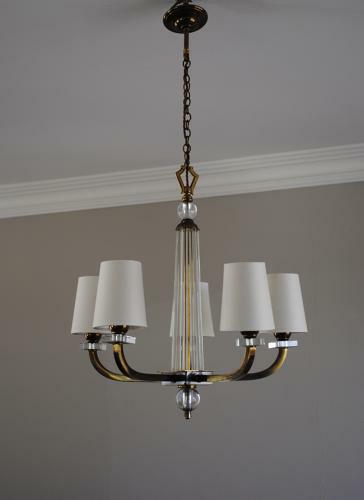 Lacquered brass, gunmetal and glass chandelier. Central brass frame surrounded by rods of glass. 5 brass arms with single bulb holders. French Art Deco circa 1950.